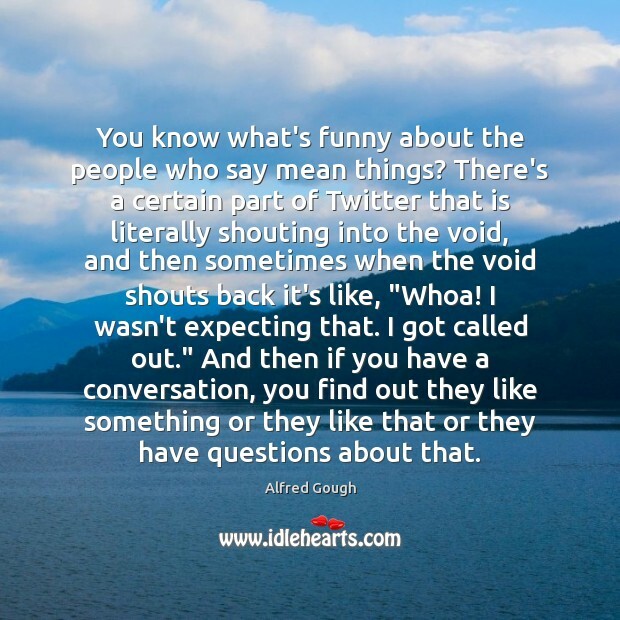 Enjoy the best inspirational, motivational, positive, funny and famous quotes by Alfred Gough. Use words and picture quotations to push forward and inspire you keep going in life! 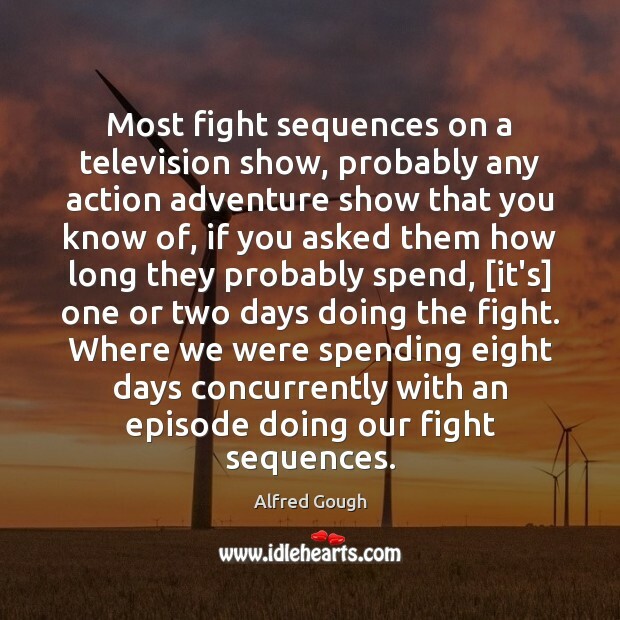 Most fight sequences on a television show, probably any action adventure show that you know of, if you asked them how long they probably spend, [it's] one or two days doing the fight. Where we were spending eight days concurrently with an episode doing our fight sequences. 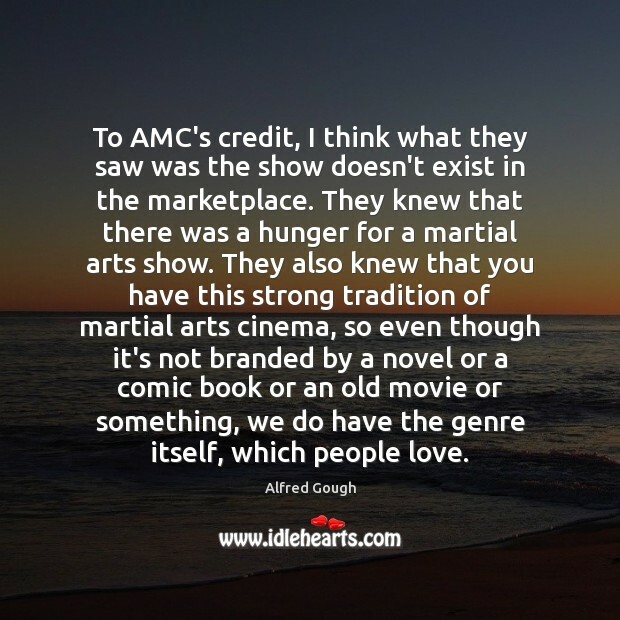 To AMC's credit, I think what they saw was the show doesn't exist in the marketplace. They knew that there was a hunger for a martial arts show. They also knew that you have this strong tradition of martial arts cinema, so even though it's not branded by a novel or a comic book or an old movie or something, we do have the genre itself, which people love. We now live in a world both in film and television where everything is based on something. 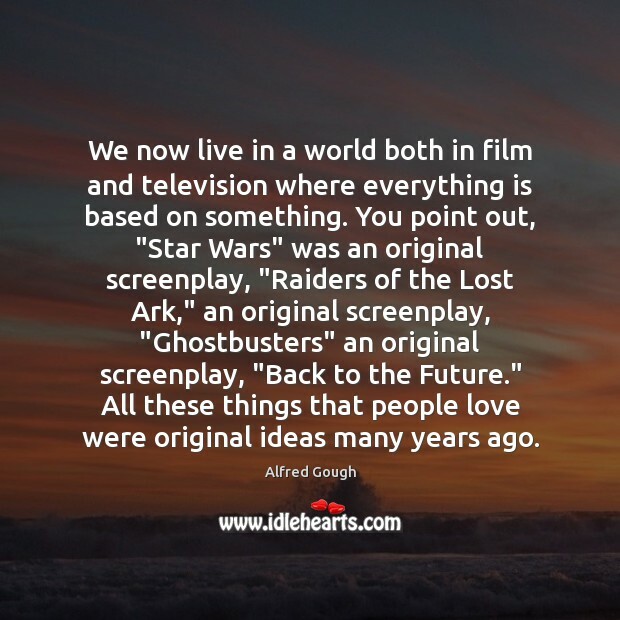 You point out, "Star Wars" was an original screenplay, "Raiders of the Lost Ark," an original screenplay, "Ghostbusters" an original screenplay, "Back to the Future." All these things that people love were original ideas many years ago. So the idea was that, some catastrophic event had happened. There was a long dark age and then out of that, 100 years ago in this world, seven barons - these men and women - rose up and formed the new society. 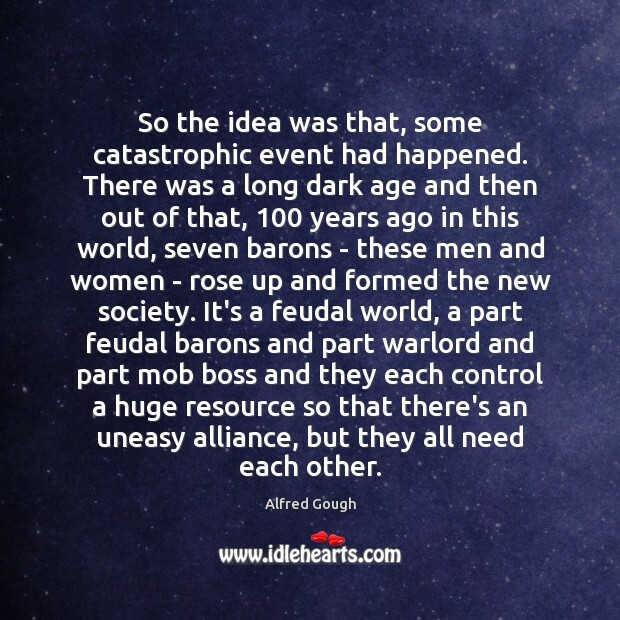 It's a feudal world, a part feudal barons and part warlord and part mob boss and they each control a huge resource so that there's an uneasy alliance, but they all need each other. With a television show, it's about fighting to get it on the screen every week. It's like going into battle, and you have to fight these fights. 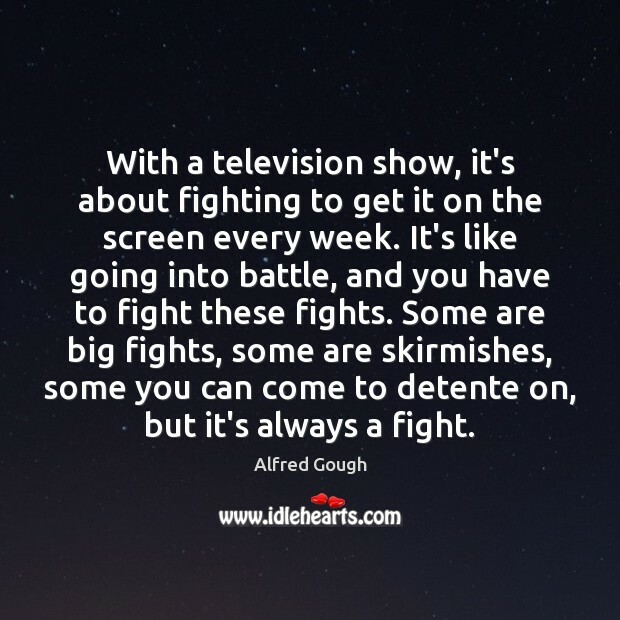 Some are big fights, some are skirmishes, some you can come to detente on, but it's always a fight. I mean when you go to a network and say, "We want to make a martial arts series in the future." And give them the pitch. 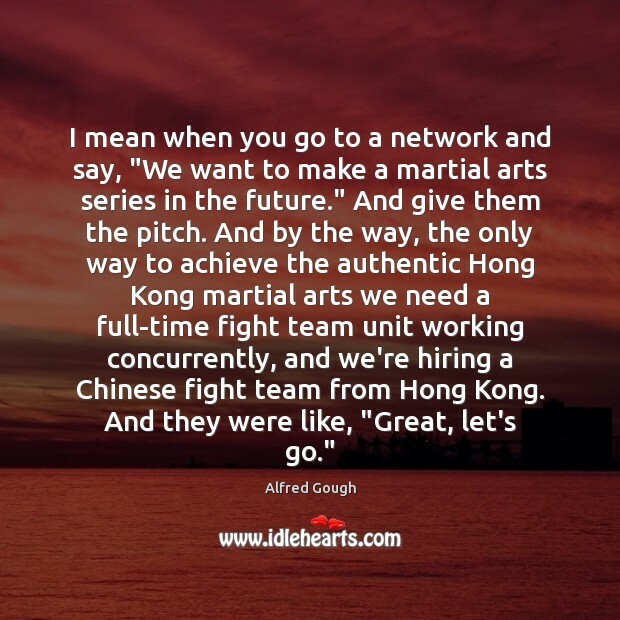 And by the way, the only way to achieve the authentic Hong Kong martial arts we need a full-time fight team unit working concurrently, and we're hiring a Chinese fight team from Hong Kong. And they were like, "Great, let's go." Some of the key components, we wanted it to be so far into the future that you weren't talking about our time. 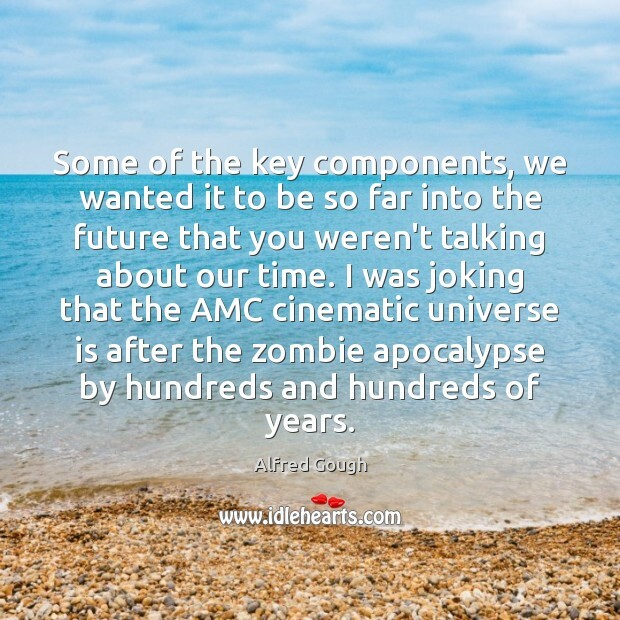 I was joking that the AMC cinematic universe is after the zombie apocalypse by hundreds and hundreds of years. 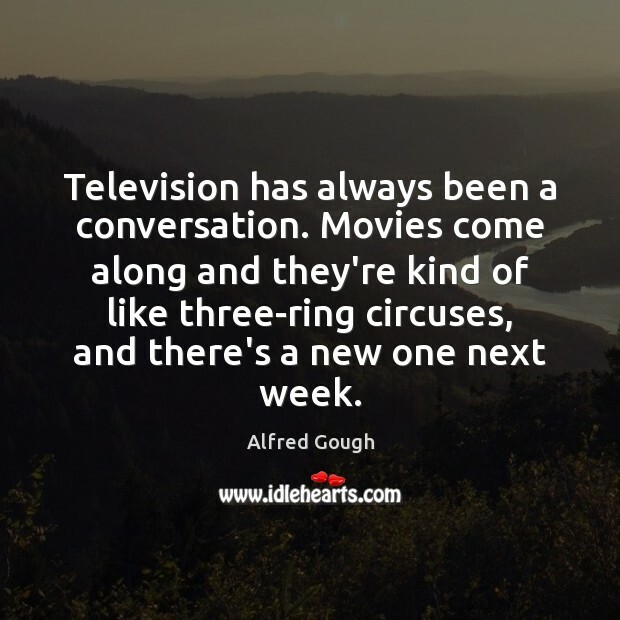 Television has always been a conversation. Movies come along and they're kind of like three-ring circuses, and there's a new one next week. We liked the idea that it was a low-tech future. But everything always repeats the past. 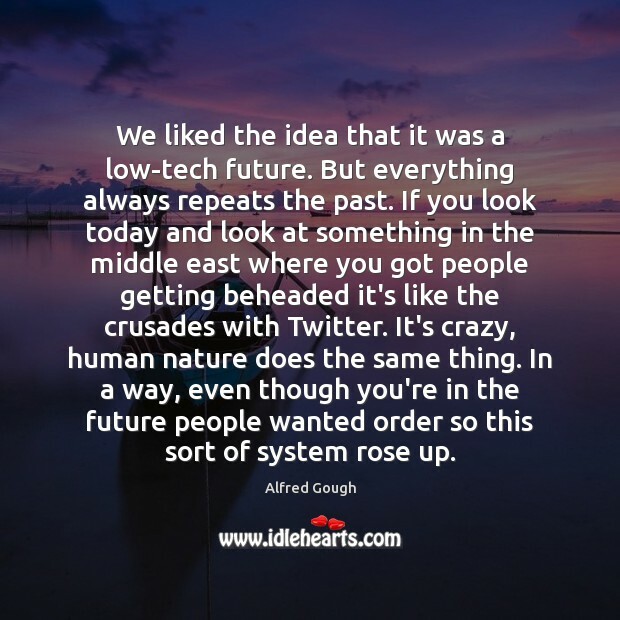 If you look today and look at something in the middle east where you got people getting beheaded it's like the crusades with Twitter. It's crazy, human nature does the same thing. In a way, even though you're in the future people wanted order so this sort of system rose up. Whenever you do something that's original, not based on a comic book or a novel or an old movie or a franchise, you definitely learn a lot and for I think it was very gratifying to see the people embrace the world. 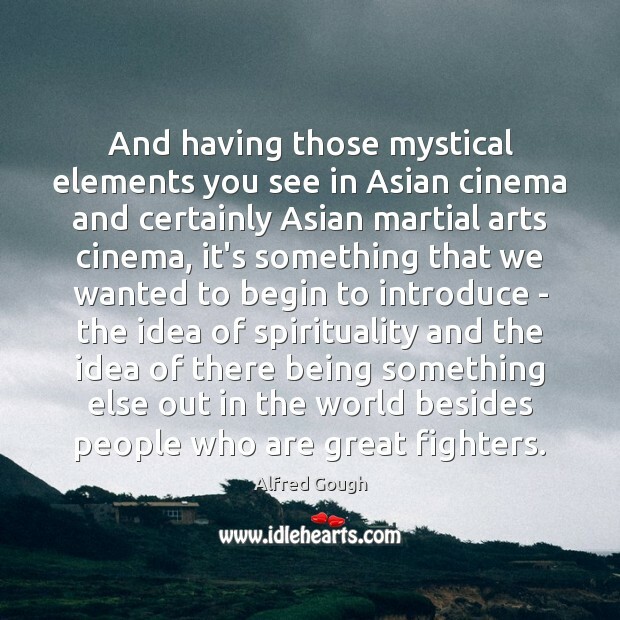 And having those mystical elements you see in Asian cinema and certainly Asian martial arts cinema, it's something that we wanted to begin to introduce - the idea of spirituality and the idea of there being something else out in the world besides people who are great fighters. You know what's funny about the people who say mean things? There's a certain part of Twitter that is literally shouting into the void, and then sometimes when the void shouts back it's like, "Whoa! I wasn't expecting that. I got called out." And then if you have a conversation, you find out they like something or they like that or they have questions about that. 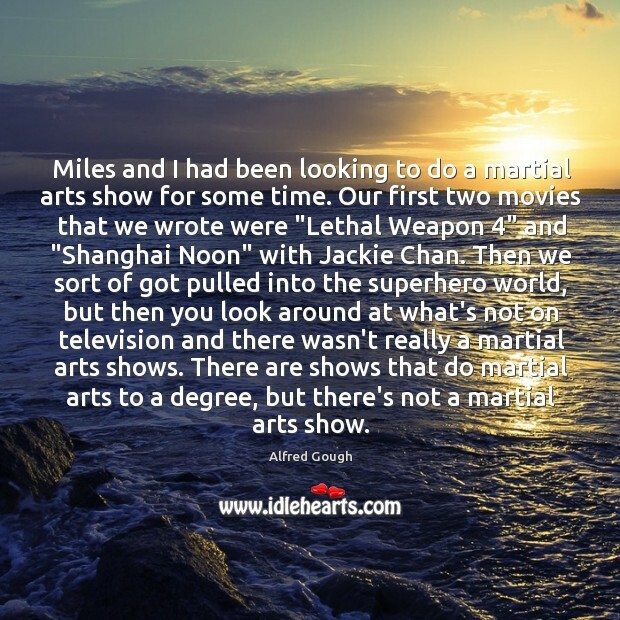 Miles and I had been looking to do a martial arts show for some time. Our first two movies that we wrote were "Lethal Weapon 4" and "Shanghai Noon" with Jackie Chan. Then we sort of got pulled into the superhero world, but then you look around at what's not on television and there wasn't really a martial arts shows. There are shows that do martial arts to a degree, but there's not a martial arts show. 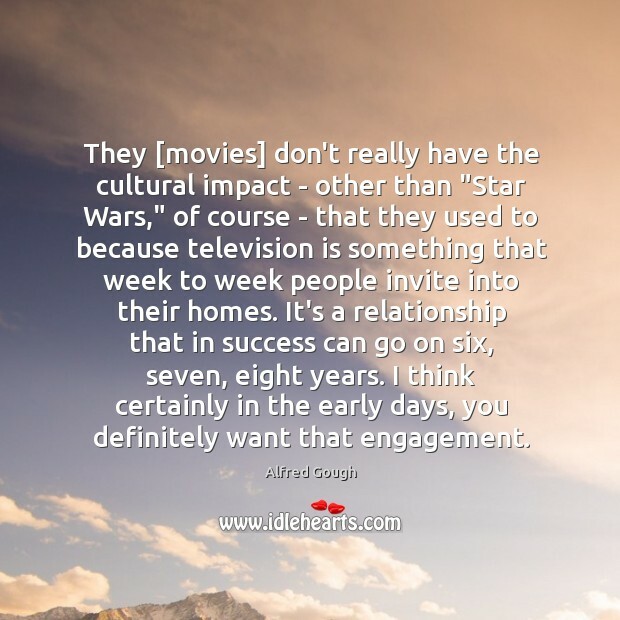 They [movies] don't really have the cultural impact - other than "Star Wars," of course - that they used to because television is something that week to week people invite into their homes. It's a relationship that in success can go on six, seven, eight years. I think certainly in the early days, you definitely want that engagement.